So, I’ll admit that I had to look this up, and from what I retained, here goes. 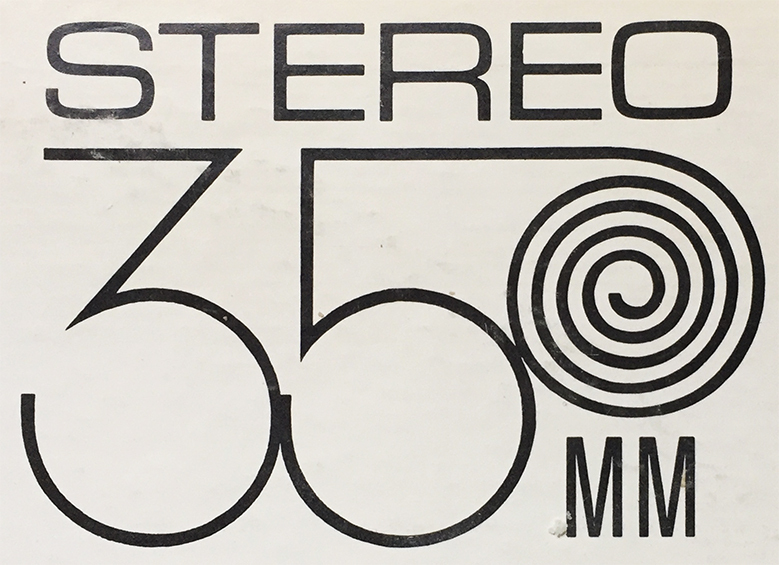 (Clears throat) 35mm, when referring to audio / sound recording, was a technique championed (in the music recording world) by Enoch Light and Command Records (Mr. Light’s label). Feature films of the time were using 35mm for their film prints, and when stereophonic and widescreen advances became the popular buzz around Hollywood, Mr. Light utilized this technique to record his Space Age Pop, which, if I’m understanding this correctly, allowed for more instruments / artists to be recorded individually due to the wider, 35mm film. Magnetic sound recording had been the norm at the time, but 35mm offered much more range, which Mr. Light wisely capitalized upon. Anyway, pretty much any Command Record release from the time will diligently detail this unique and groundbreaking recording process, and I encourage you to discover the magnificent (and magnetic) wonders of 35mm sound.